Where to begin. Seriously, where do you start? Everything remotely related to Swansea City at the moment means that only three first-teamers leaving the club on deadline day has somehow been spun into a success story. And it is not even the most tumultuous event at the club since Thursday. In many ways, the resignation of Huw Jenkins after 17 years at the helm was as unsurprising as it was quite possibly long overdue. However, those who spent the last three days witnessing fans on social media descend into firesale bedlam on deadline day, right up to the tense scenes at Ashton Gate, this is arguably the most tense time at the club since Jenkins took over as chairman, along with various shareholders and Trust members back in 2002. The defeat against in-form Bristol City was perhaps not surprising, despite the threadbare squad looking objectively convincing for spells of the match. The caveat to the anger and vitriol aimed at Jenkins, as well as majority owners Kaplan and Levien was the positivity directed towards Graham Potter, who banged his chest in a show of passion and solidarity at full time. Indeed, he is one who can hold his head high and not need to justify any shortcomings of the squad, especially following his candid comments at his press conference in the week. To an outside perspective, as many as five first-team squad members were tipped to leave on deadline day, three departed all on loan, what could be the source of such resentment, in particular, this time? Well, anyone who has any personal investment or interest in the club will simply answer that since the summer of 2016 the club that previously been largely hailed as a model for others, has alienated fans, members of the Supporters Trust and likely anyone who once considered Swansea an example to emulate. Just as Rome wasn’t built in a day, it would take time to cause such damage. Yet a series of player sales, hugely costly mistakes in incoming managers and players, as well as a serious lack of investment showed that the deadline day chaos was simply the final nail in the coffin. Among the rumours was one banded around that Jenkins himself stopped the Daniel James move. As valid a rumour as any, given the winger was at Elland Road in the late hours of Thursday, already having passed a medical, some form of late and strong intervention poured cold water on the transfer, as well as captain Leroy Fer’s potential transfer to Aston Villa. However, Jenkins himself has much to answer for. 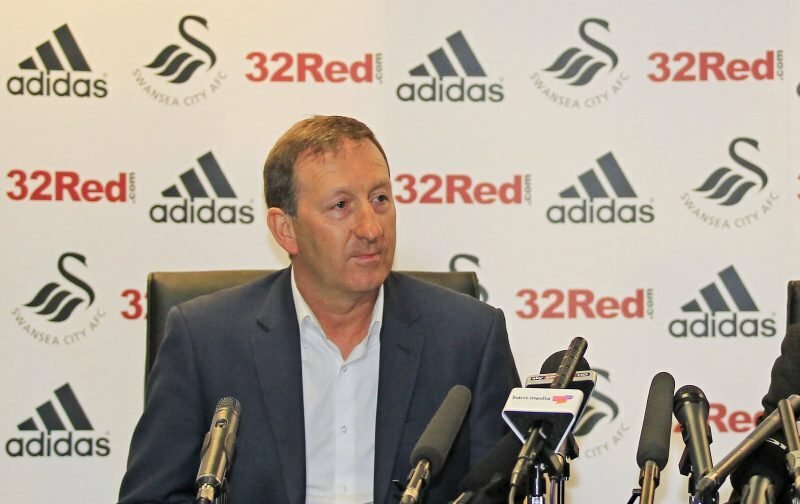 While even the most one-eyed and bitter of Swansea fans would probably not find it hard to believe that Jenkins has a genuine love of the club, only wanting the best interests for it, a series of decisions that have ranged from incompetent and foolish to examples of gross negligence will mean his legacy will likely not be one of salvation or meteoric rises through the leagues. The likelihood is he will be remembered as the Jack that turned Judas, selling the shares, heart and identity of the club and doing so in a manner that has broken the trust of fans who in many cases have an emotional as well as a financial stake in the club they love. One way or another, things cannot continue and fans need answers. Things will get worse before they get better, no matter how optimistic you are. Questions loom over all things from who will replace the chairman, what this means for the futures of Kaplan and Levien, other board members and even Potter himself, who many have professed an understanding were he to simply walk away from the uphill task he has been charged with. In a context of planned boycotts, anger and division, the club needs unity. The now iconic marches in the late ’00s through Swansea city centre in protest of Tony Petty come all-too-readily into the mind. It comes with a strange irony that in many ways Jenkins has a chance to redeem his decisions; whether it comes in the form of an open interview, a willingness to come together with the Supporters Trust or discuss openly where the owners can improve if they show no signs of leaving. Not as a yes-man, not as the puppet he has been billed as, but as an outsider with a chance to show he can once again get things back on track. Sadly, questions will undoubtedly linger over his ability to mitigate the damage done between club and board, or indeed his appetite to. However, if Kaplan and Levien are unable to prove their ability to produce anything remotely positive about the club, if they are to absolve themselves and clear their charge of asset strippers with no willingness to improve things on or off the pitch, this is where Jenkins can play his part. An end of an era at Swansea City; yet while chants of ‘We want Jenkins out’ have finally paid off, there is nothing in place to say things will be put right unless those who have scorned the supporters finally look to enter discourse with those who can and have put things right so famously in the past. Now were do we go from here I for one that said HJ had to go but and it is a big but did he go and stand up against Levien&Kaplan in the sale of Daniel James if so he must be commended and the only thing we can hope for now is for a group of people who have the club at heart to come forward before them yanks with the safety of living in the Staes ruin our club to which they are out to do no investment just taken as much money out of the club as they can they have no interest in football just in one club called D.C. United no amount of Money can be put into that club while they sacrifice SCFC we are about reached safety in the championship but what about next season when they have a set stipend our club they will be off just like hyenas after they have strip thyer kill . LEVIEN &KAPLAN do us a favour and find another club do do your a set striping you are not wonted at our club I hate to think what next you both got lined up for our club now HJ has gone are you going to promote Mr Pearlman just to keep in the family. To be a ‘first teamer’ you have to be fit to play – the three who left were expensive and rarely seen. We are restructuring and that hurts in any situation, no one other than Jenkins claimed to be aiming for promotion (great if I comes along) but rather the identity and finances were taking priority this season. For those of us who hated the way Monk got us playing and the inability to regain the style of earlier campaigns seeing the team go through periods of quick passing and possession has been heart warming. But it takes time. The hysteria surrounding the club is ridiculous. The hysteria surrounding the club is ridiculous. – why exactly? Now is not the time for hysterical reaction. What I’d like to know is who is going to be Director of Football and what does that mean for the club? Will he be in total charge of recruitment and sales? What is Potter’s position in all this.? Lots of questions but very few answers. We wait and see what these Americans have in store for our club. What’s this about a director of football Phil? Actually it was in the club statement, Kevin. Ok they worded it as a leader of football operations, but to me that is the same as Director of Football. Ah ok, because there’s rumours around that we’re appointing one.